LIPOMED is a private Swiss Health Care Company. We are one of the leading companies for Reference Standards worldwide and specialized in the research, development and manufacturing of ethical pharmaceuticals and products for the treatment of rare diseases. Since 1993 Lipomed is dedicated to providing products and services of outstanding quality and expertise. 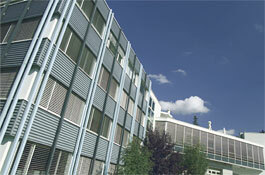 We have our own GMP/GDP and ISO 9001 certified pharmaceutical production facilities in Arlesheim near Basel. We are also ISO/IEC 17025 accredited for testing of analytical reference standards and ISO 17034 accredited for the production of reference material. Our innovative products are marketed and distributed with offices and partners in more than 50 countries around the world.